It’s flea season, and they are out with a vengeance! But do fleas really matter that much? Well…think back to the last time you were covered in mosquito bites, and the itching was unbearable. It’s the same for your cat or dog when they are infested with fleas! Why make them suffer through that without treatment? 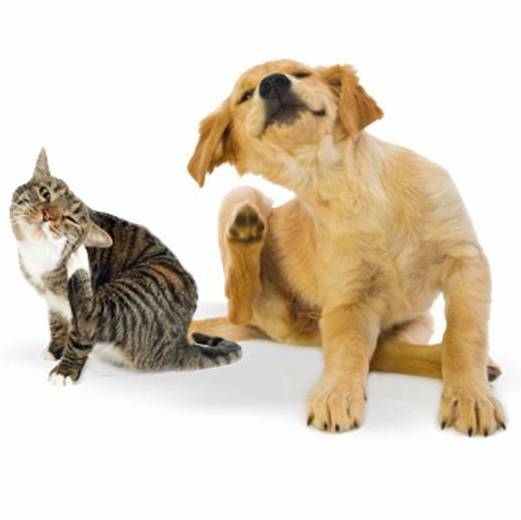 Fleas can also cause skin disease, allergies, tapeworms, and anemia. And once your pet has fleas, only 5% stay on their body at any one time – the other 95% make themselves at home in your house, where they can remain alive without feeding for 100 days! And with one adult female able to lay 2,000 eggs over her lifetime, it’s easy to see how an infestation can start…and how hard it is to treat! For most pets, our recommended flea prevention medication is Revolution, which is much safer than over-the-counter flea treatments, since it is not a pesticide. Treatment for an existing flea infestation will require 3 months of treatment (to kill the fleas that will hatch), and we recommend it monthly during spring, summer, and fall as a preventative. If your pet is up to date on their annual exam and vaccines, you don’t need to pay for another exam to get Revolution: cat owners can call or stop by, and dog owners can take advantage of our FREE flea/tick/heartworm testing and prevention appointments. Give us a call at 416-537-9677 if you have any questions, and feel free to share!